Moving to Portland, but not sure whether you want to buy or rent? I'm always happy to provide a city tour, visiting lots of neighborhoods, and walking through homes for sale. This allows you the opportunity to experience the cost of living in Portland, and learn more about the neighborhoods that interest you. I'd love it if you bought a house as a result! But some people prefer to rent first and buy later, once they've really scoped out the city and lived in it for a while. For these clients, I can arrange visits to rental properties that suit your needs through the use of a third party rental housing expert. There is a fee paid to them directly, but by the end of the day, you should have your rental property picked out and be ready to sign your lease. They work with you closely to review your objectives, match your needs and budget, and show you available properties that fit your criteria. Don't be surprised, but the cost of renting in Portland might be more than you think. 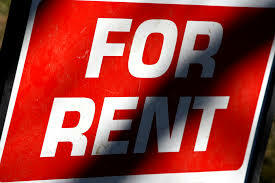 For information on the Portland rental market, please click on the following links. You can estimate what a rental in your favorite neighborhood might cost. For information on what a house in your neighborhood might cost to purchase, please use the mortgage calculator on the bottom of the listing page on windermere.com. To search for homes by neighborhoods, click here. Once you add in the cost of property tax (annual tax /12 months) and HOA fees and hazard insurance, you'll be able to compare buying -vs- renting. With today's low interest rates, buying might actually make more sense! Here are a few more links to get you familiar with Portland and its neighborhoods.